When you trust your Honda with us, you can rest easy knowing each and every technician working on your vehicle has completed extensive training. We have earned the ProFirst Honda Certified Collision designation because of our commitment to professional, high quality repairs and have been acknowledged for our training, expertise, and commitment to complete repairs to Honda’s factory specifications for safety and parts, customer satisfaction, and ongoing education. As a ProFirst Honda Certified auto body shop, we take great pride in providing the most efficient and thorough collision repairs. Honda Certified body shops use only Honda Original Parts and helps keep your Honda a Honda. Following Honda’s manufacturer recommended procedures on parts installation also ensures your new vehicle warranty stays in effect. Why Use A ProFirst Honda Certified Auto Body Shop? Our technicians also receive Honda-specific training that allows for specialized collision repair. By using genuine Honda parts and understanding Honda components, our team is dedicated to restoring your vehicle to the condition you've come to expect. Trust your vehicle with Fountain Valley Bodyworks and experience the difference of a ProFirst collision repair center. Where will you take your Honda the next time you have an accident? 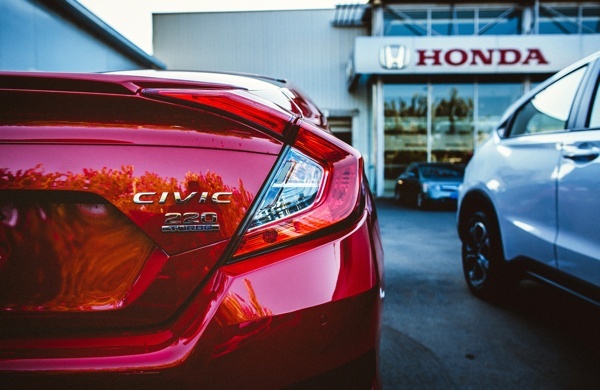 Call our shop today to discuss why bringing your Honda to Fountain Valley Bodyworks to ensure the best in Honda Certified auto body shop repairs today! Don’t let just anyone repair your Honda when you have an accident - trust your repairs with us.